Taman Desa Idaman. Bumi Lot. Freehold. Partially Renovated & Partially furnished interest pm me for more details. 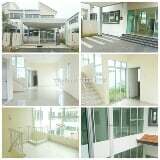 Cluster Semi Detached House. Freehold. 50x75. 4room/3bath. Fully Renovated Front. Want To Sale(?)? (Taman Paya Rumput Perdana melaka)? Single Storey Bungalow? RM6? K?Bernice wasap. My/601131051---/pm618? Non Bumi? Freehold (?)? Durian Tunggal, Taman Nuri Semi Detached Double Storey House for sale Size: 35 x 60 Build.